Foam frequently appears in construction industry such areas like cement slurry, floor, grouting agent, tile adhesive, exterior wall insulation, mortar, decorative mortar, putty powder, repair mortar, concrete, paint, water reducer, calcium silicate board , pulp, asbestos. For example: The problem of these bubbles is neither big nor small. The resulting foam will lead to such appearances like uneven surface, unsmooth and honeycomb, pockmarks, etc., which seriously affect the beauty etc. so as to affect the construction. For example, in the production of architectural coatings, the presence of auxiliaries, dispersants and thickeners in the formulation not only produces a large number of bubbles, but also stabilizes the bubbles, resulting in a large number of bubbles in the architectural coating. In the film forming process, if the bubbles cannot disappear, the film shrinkage, pinholes and the like may be caused, which affects the quality and the appearance. Therefore, it is necessary to add an antifoaming agent to eliminate these bubbles in order to obtain satisfactory results. The defoamer can be added directly, stirred well and stirred evenly. It is not recommended to dilute it as this will directly affect the amount added. Just now above it has been mentioned not to dilute the defoamer when using, which will directly affect the amount of defoamer added. The defoamer is not added as much as possible. If to add excessively, such phenomana like oil, shrinkage, demulsification ect.shall appear; If too less, it will directly lead to poor defoaming effect, and there are small bubbles remaining, which can not maintain the antifoaming performance for a long time. The defoamer can be added in two portions: for the first time, half of the total amount is added in the preparation of the material; and for the second time, the other half added after grinding. It can fully enable the defoamer to perform its performance. 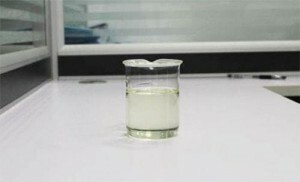 It takes at least 24 hours after the addition of the defoamer to test the properties of the material, because the defoamer is durable, otherwise product quality problems such as shrinkage cavities may occur. Bubble troubles? SIXIN technology special defoamer for construction industry is featured by the good physical state, fast defoaming, anti-foaming and so on. In order to prevent the foam from affecting the construction quality and efficiency of the whole project, its addition has improved the construction efficiency of the foam, ensured the quality of the construction, improved the work efficiency, and shortened the construction period. The effect is obvious.